Markets Rally, But Still Work To Do. 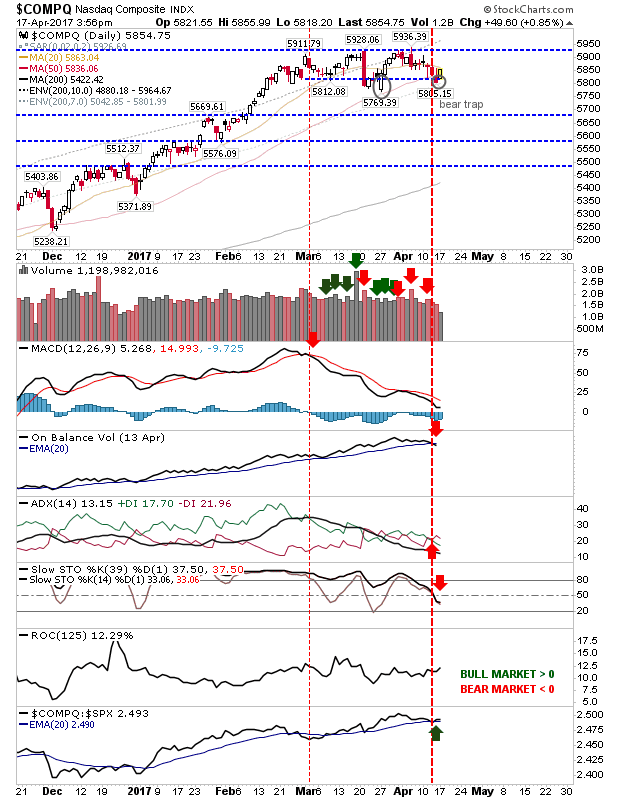 A positive response to Friday's selling helped erase those losses, but for many indices it wasn't enough to recover support or reverse technical 'sell' triggers. The S&P is on the verge of a 'death cross' between 20-day and 50-day MAs as the rally finished just below the 50-day MA. The consolidation channel remains in play and this should see higher prices in the latter part of the year, but for now, it's drifting down in a relatively controlled manner. 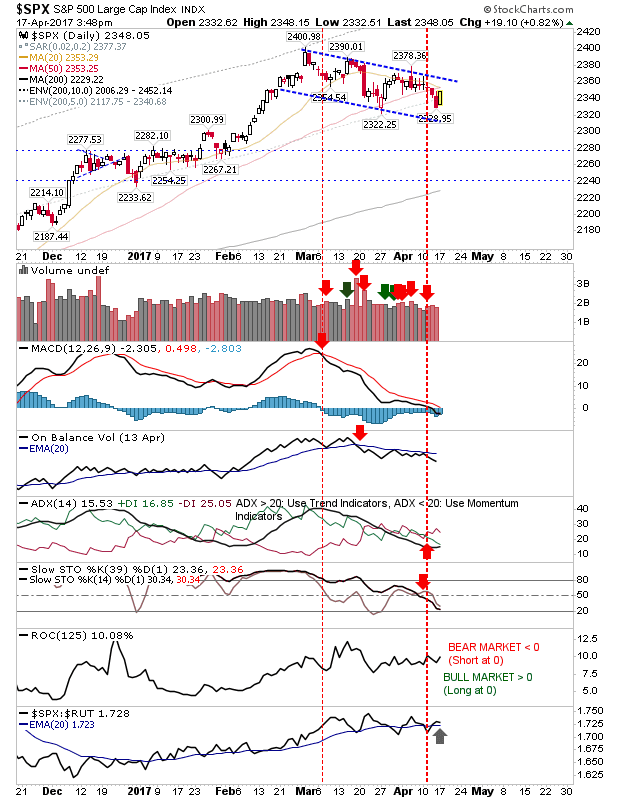 A second 'bear trap' could be in play for the Nasdaq as the index did enough to recover its 50-day MA. Aggressive players could look to go long with a stop on a loss of 5,805 - anticipating a breakout of 5,930 in the weeks ahead. 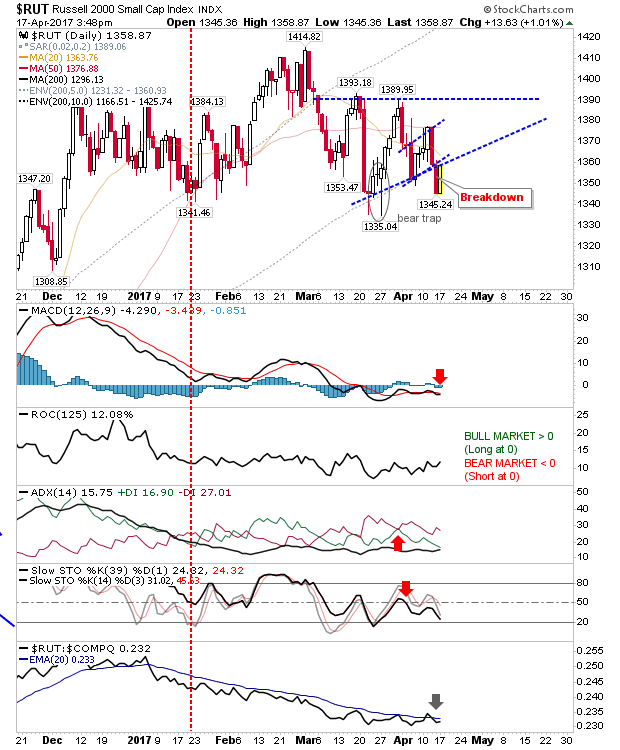 The Russell 2000 saw a 1% gain which brought the index back to rising support, but not enough to return above it. The two-bar paired reversal is another long opportunity with a stop on a loss of 1,345. The chart which is the most interesting is the VIX:VXN relationship. Past spikes in the relationship between the two volatility indices and supporting stochastics suggest a 'strong buy' signal. Today's signal is perhaps the clearest buy signal for long-side traders since last November and June. 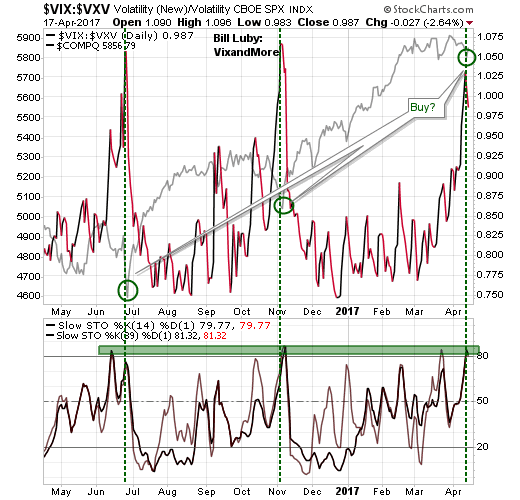 While technicals remain weak for Tech Indices, there is perhaps enough from a recovery of the 50-day MA and the VXN:VIX relationship to offer a traders 'buy' trigger. Other indices aren't as well placed, but all indices could benefit if the Nasdaq and Nasdaq 100 gain traction.